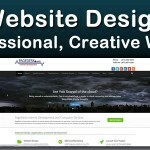 PageDesk Incorporated has redesigned its website with our clients in mind! A new, intuitive design presents itself with an easier way for you to navigate and reach out to us for all your services. We have added features that allow for you to purchase our services online.